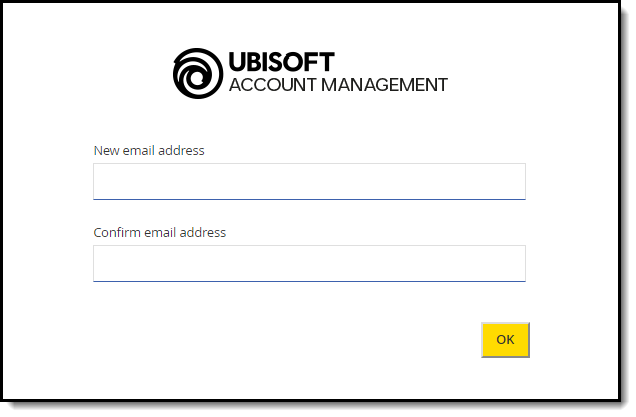 You can change the email address on your Ubisoft Account yourself, from the Ubisoft Account Management Website. To do this, simply log into your Ubisoft Account at https://account.ubisoft.com/, using the current login Email address and Password. Navigate to the Account Information tab and click the Edit button at the top of the Personal Information section next to Contact Preferences. You will now be able to click Change Email to start the process of changing your Ubisoft Account email. Please check your email Inbox for a new message. NOTE: If you do not see the message in your Inbox, please check your Spam/Junk folder. It is possible this may have been flagged as Spam, and therefore, missed your Inbox. You can also add the address AccountSupport@ubi.com to your safe sender list to ensure it isn’t missed. Click on the link in the message, or copy and paste the link into your browser to be taken to the final step. You may first be prompted to use your current email and password to once again log in, for your security. Once you’ve done that, you can enter your new email address. After entering that, you will then have the opportunity to enter your NEW email address. 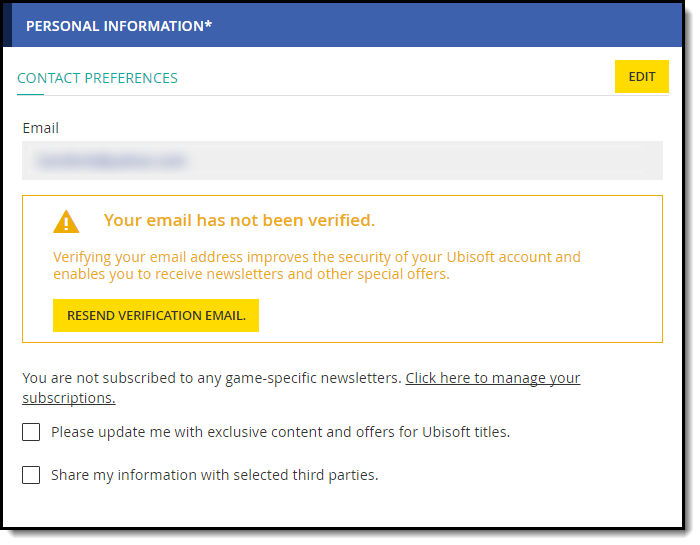 If you get an error while submitting the new email address, it may mean that the email address you are submitting is already in use on another Ubisoft Account. In that case, please try logging in using that email. If you need further assistance, or no longer have access to the email address on your Ubisoft Account please contact our Customer Support Team. Please also provide proof of purchase for at least one PC game owned on the account. If you don’t own ANY PC games on this account, let us know some of our console games that have been played using the account recently or include proof of purchase for at least one such game. We've created a guide for collecting proof of purchase available here. For Steam purchases, you can refer to our dedicated guide here. Once we receive the information, we will do our best to assist you.